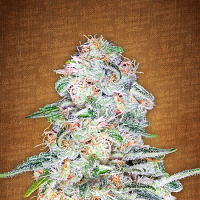 The Blue Wizard is a beautiful hybrid Indica Dom strain and it is a pleasure to watch it grow. 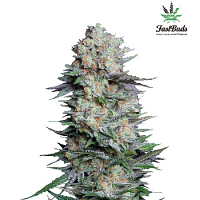 The Blue Wizard Feminized Marijuana Seeds by Bulk Seeds Premium: The Blue Wizard is a beautiful hybrid Indica Dom strain and it is a pleasure to watch it grow. He will start out with vivid red and purple hues before transforming into a brilliant blue/lavender coloration. 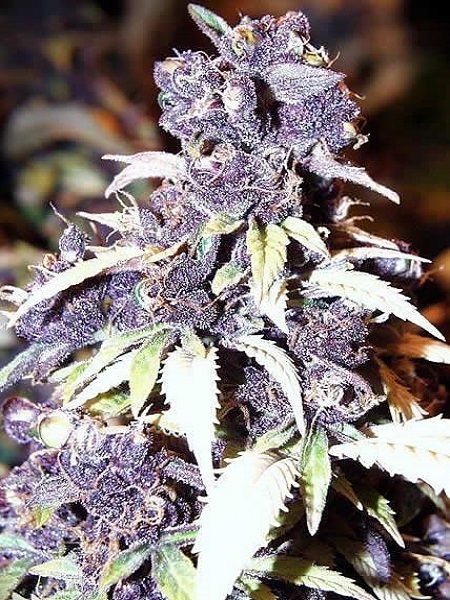 Primarily it is a Blueberry mixed with Mexican and Thai parents with a touch Indian and Columbian genetics included for good measure a well-travelled strain that has cast his charm spells on all who meet him. The Blue Wizard is a sturdy strain and like a wizards staff they are strong, straight and hard to break. Yields are typically around 500g/m2 though can reach a magical 700g/m2 in an optimum environment. THC levels are 18 to 21% and the flowering is a rapid 8 to 9 weeks. 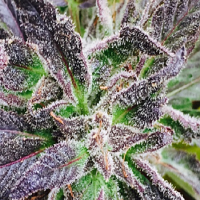 The Blue Wizard has a fruity, blueberry aroma sometimes with a hint of citrus or sweet wine mixed in. The smoke is smooth and soothing and this is when you can really savour the flavour. 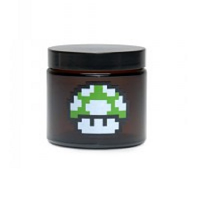 Imagine relaxing on a fluffy magical cloud as you float to Nirvana... a mellow and relaxing experience that will last and last; no surprise then this is one of the most popular medical marijuana strains out there... Truly Magical! !